Her power: No powers normally, but in Iron Man 3 she was briefly infected with the Extremis treatment, which allowed her to regenerate body parts and heat her body to extremely high temperatures. She was cured of the condition by the end of the film. 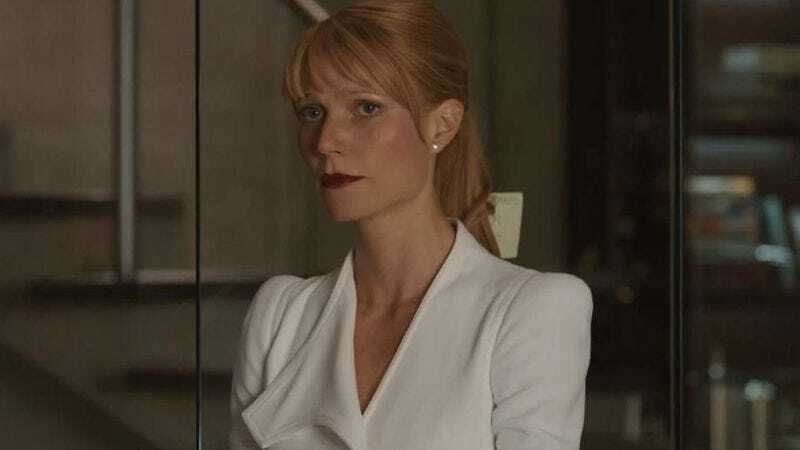 Her Story: Pepper Potts is introduced in Iron Man as Tony Stark’s longtime personal assistant, responsible for the daily operations of his company and generally being far more knowledgeable about the ins and outs of the business than he is. During the second film, Tony promotes her to CEO of Stark Industries, a job to which she quickly adjusts, and the two of them begin a relationship. She appears briefly in The Avengers, living with Tony in the Stark Tower in New York, and is shown helping transform it into Avengers HQ at that film’s end. In Iron Man 3, Pepper and Tony’s relationship is rocky, thanks to his PTSD from the events in New York, and she ends up kidnapped by the Mandarin, who injects her with the Extremis virus, transforming her into someone capable of regeneration and super-hot body temperature transformations. She’s cured of it after killing Aldrich Killian, and Tony and she seem stable—though she isn’t shown onscreen—during Avengers: Age Of Ultron. However, by Captain America: Civil War, it’s revealed she and Stark have broken up. Currently, Pepper Potts is: Single and still running Stark Industries. Where will we see her next? Unknown. She reportedly filmed scenes for Civil War that didn’t make the final cut, so it’s unclear if she’ll turn up in Avengers: Infinity War.